This whistle fits the new style stainless steel Aga kettles, including the Aga polished stainless steel whistling kettle, and the Aga cream, Claret or black stainless steel kettles. 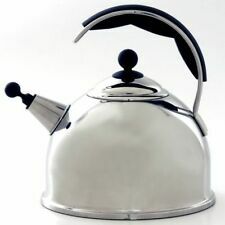 Aga Classic Kettle Polished Stainless Steel. holds just under 4 pints. Condition is Used but in excellent condition please see pictures Dispatched with Royal Mail 2nd Class. Agaluxe Aga Stove Top Hob Kettle Brand AGA Material Aluminium Capacity 3 Litre Colour Silver Hob Type: Aga/Rayburn, Ceramic, Electric, Gas Similar kettle new costs £118 Good used condition, some scratches as shown and discolouration on base. Grab yourself a bargain! Aga Classic Kettle. Polished Stainless Steel. It has several age related dings and marks. size:- 22 cm dia.18 cm deep. If the item is battery or electric powered, I will test to see if working. In a well used condition. Stylish, modern shape. Available in 4 colours. Capacity 2.5 litres. The Aga Whistling Kettles are the most popular of the kettles that AGA produce, this is largely due to the fact of the high quality finish and the colours will suit traditional and modern style kitchen. Aga Kettle. In Need of a Good Clean. AGA Style Stove Top Aluminium 3.3 Litre 6 Pint Kettle USED Grade 1. The kettle is in VERY good used order with scuffs scratches and the odd light ding! (a bit of Military character) it is perfectly serviceable but could do with a good clean! 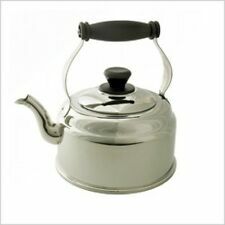 AGA Style Stove Top Aluminium Chef Set 2.3L 4 Pint Kettle USED Grade 1. The kettle is in good used order with scuffs scratches and the odd light ding! (a bit of Military character) it is perfectly serviceable but could do with a good clean! We have no doubt all have experienced the forgotten garlic bread or sausages which can lurk in the back of the AGA ovens. Featuring a smart black and silver front case with large numbers for easy reading along with a long and loud alarm and a 3-way mounting; pocket clip/magnet with stand. AGA Style Stove Top Aluminium Chef Set 2.3L 4 Pint Kettle UNUSED Grade 1. The kettle is in good unused order with scuffs scratches and the odd light ding from storage! (a bit of Military character) it is perfectly serviceable but could do with a good clean! AGA's Stainless Steel Whistling Kettles, now available in stunning Duck Egg Blue and a matte Pearl Ashes shade, feature an improved shape and wide base for efficient boiling. 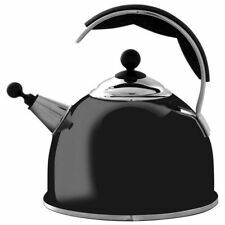 Quick boiling and made of 18/10 stainless steel, these fabulous kettles have been designed especially for AGA cookers but are also suitable for induction hobs. It is fully functioning and a genuine AGA kettle! Mum had an AGA until 1953, so this is early 1950s or even late 40s - I am no expert. Made in England. 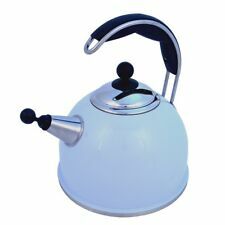 AGA HARD ANODISED KETTLE 3L. 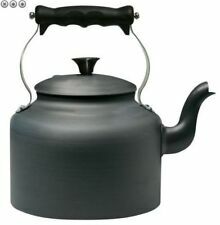 AGA 3 Litre Hard Anodised Kettle (W2346). New & Boxed. AGA Style Stove Top Aluminium 3.3 Litre 6 Pint Kettle USED Grade 1. The kettle is in good used order with scuffs scratches and the odd light ding! (a bit of Military character) it is perfectly serviceable but could do with a good clean! AGA Stainless Steel Whistling Kettles feature an improved shape and wide base for efficient boiling. Suitable for all heat sources including induction. Aga whistle kettle in excellent condition no chips or scratches. Aga kettle very little use nearly new no longer needed Happy bidding. Made from half panama 100% cotton, the hare is digitally printed in order to replicate the beautiful painting to pick out the fine detail. Do no tumble dry. Do not bleach. 3 dot iron. Dry away from direct heat to avoid excess shrinkage. The plain stripe and herringbone weave have been inspired by the British tradition of hard wearing household linens. 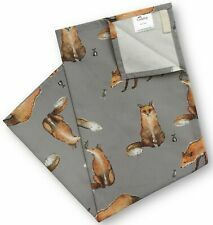 The fabrics have been incorporated in to AGA textile designs to give the best performance with the AGA cook in mind. It is digitally printed as a repeat onto 100% cotton which has been pre-shrunk and will not fade with washing. 48cm x 70cm. Great Gift. Hard Wearing. Wash at 40°. Wash as synthetics. Wash with similar colours. The robust cotton terry is supple on the hand to give a sure grip, and has excellent insulating properties which give the best protection when dealing with high temperatures in the kitchen. The robust cotton terry is supple on the hand to give a sure grip, and has excellent insulating properties which give the best protection when dealing with high temperatures in the kitchen. 100% cotton, 2 dot iron, no bleach, do not tumble dry. 1.9 Litre - 2 Litre (AGA contradict themselves on the size). Classic shape, stainless steel.